“I’ve been thinking about this day forever,” Bruce Jenner tearfully admitted to host Diane Sawyer of 20/20. In his shocking interview, Sawyer prompted Jenner to open up about why he felt the need to “come out” and address his confusion with his gender in such a public way. Jenner said he’s finally letting his “soul” out-that he is freeing who he really is. Jenner told Sawyer that ex-wife Kris knew about some of his struggles, but didn’t fully understand the magnitude of it. “If she had been really good with it and understanding, we’d probably be still together,” he said. I am not going to pretend I understand in the least degree what Jenner has and is going through. I do wonder why he feels he needs to make this transition so public. Ironically, he told Sawyer in the interview that he just wants to live a quiet life and blend in. 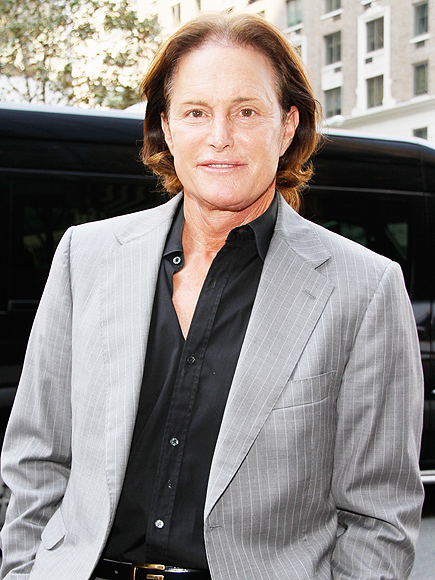 I wonder what made Jenner decide now, after living 50 years as man, to make such a huge decision to become a woman? Especially because he says he is “heterosexual”-still attracted to women and has loved being married and raising kids. Another thing that really shocked me was that Jenner told Sawyer that not only was he conservative, but that he was a Republican. And religious. Check out People.com for more coverage on the 20/20 interview and to read what Jenner’s family thinks of his transition.